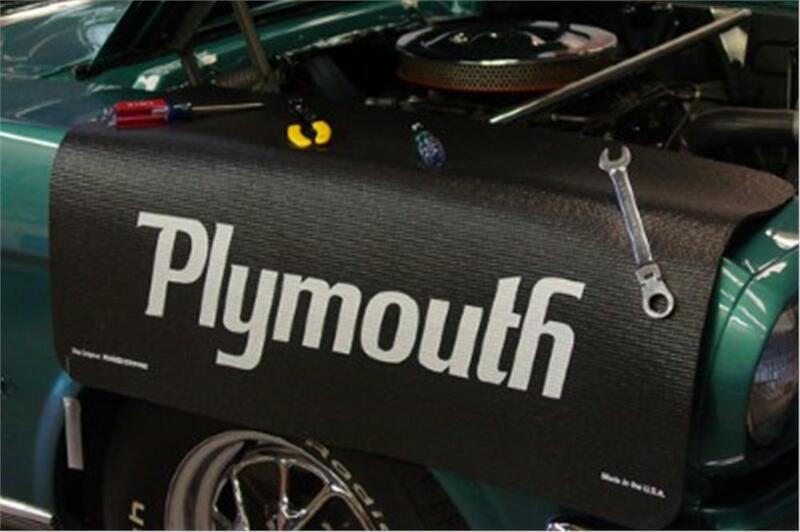 Plymouth Logo Fender Gripper Fender Covers are soft fender covers that don't slide off, will protect your Plymouth's paint and keeps tools close at hand. The soft and cushioned 1/8" PVC material in reinforced with nylon mesh is impervious to most any fluids, and easily washable. Fender Gripper Fender Covers, cover a 22" x34" surface and will not scratch or harm your paint.